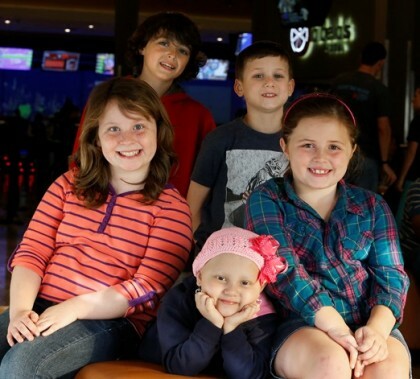 Cancer delivered a punch in the gut last spring to Mia Bryant and her family. But the 7-year-old is fighting back, dutifully taking her treatments and medications and looking forward to the GCU Foundation Run to Fight Children’s Cancer on March 7, where she will be the official race starter. 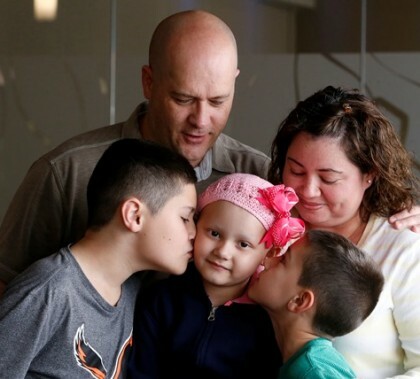 GCU Today has a story about the second-grader and her family and information about how you can sign up to participate in or otherwise support the run, an inspirational event that raises money for cancer research and support of children and their families. 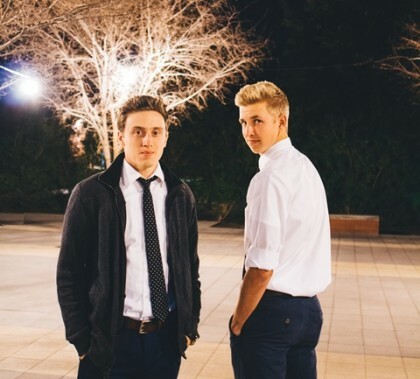 Get to know 2015-16 ASGCU presidential and vice-presidential candidates Griffin Walker and Jonny Van Ommering. 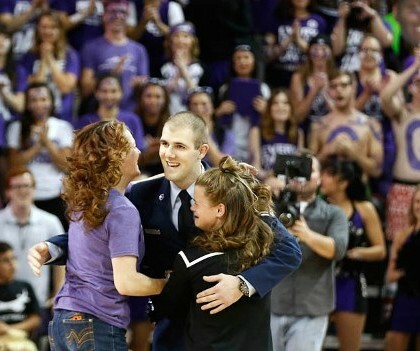 Get to know 2015-16 ASGCU presidential and vice-presidential candidates Cody Dumas and Slate Herman. Photos by Darryl Webb GCU News Bureau Grand Canyon University’s partnership with Habitat for Humanity Central Arizona kicked off Saturday with 200 volunteers working at eight sites. It was a successful opener, and not just because so much got done. Homeowners who hadn’t heard about the project saw the commotion and, in several cases, expressed interest in having their homes renovated. They came. They saw. They painted (a lot). 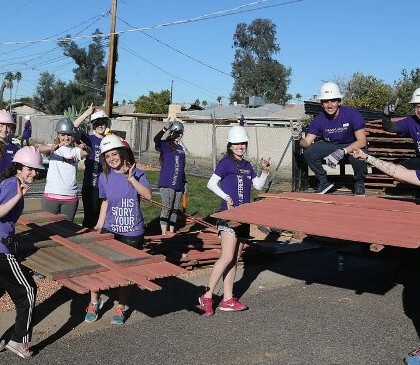 Saturday was opening day for GCU’s partnership with Habitat for Humanity, and 200 student volunteers turned out with sunny attitudes to match the perfect weather. Renovations began on eight homes in the local neighborhood and, just as important, other homeowners who hadn’t heard about the project took note as well. It’s time to go to work to do what we do — help people. GCU’s partnership with Habitat for Humanity, in which up to 700 homes in the local neighborhood will be renovated, starts Saturday. 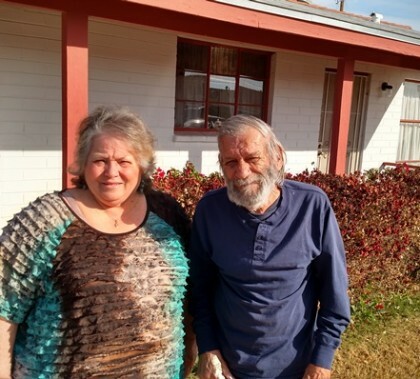 GCU Today has the story of a retired couple that is grateful for the help and a student volunteer from Iraq who can’t wait to lend a hand.